(4) Screens up and away for (3). (1) Passes to wing and begins a high rub off of (5). (1) stops at the first block mark to set a back screen for (5). (5) Flashes hard off the back screen of (1). (3) pops of the screen of (4) looking to shoot. (2) Looks to hit (5) on the move to the basket for the catch and score. 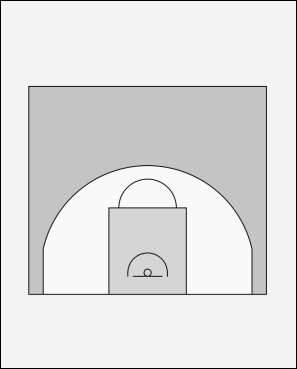 If (5) is not open, (2) reverses the ball through (3). (1) cuts hard off the screen of (4) out to the wing. (1) Catches and assesses the options to shoot or drive. (5) Flashes hard to the middle. (1) looks to hit (5) for the deep catch and score.